2. Technician (Field/Lab Research) - 10+2 in Science with 60% marks in aggregate or equivalent from a recognized board. Knowledge in Computer is preferred. 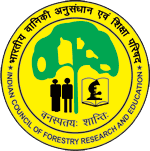 6. . Interested/eligible candidates may submit their applications to "The Director, Institute of Forest Biodiversity, Dulapally, Kompally S.O., Hyderabad - 500 100' THROUGH POST ONLY so as to reach on or before 31.05.2018, which would also be the crucial date for determining the age limit.